The top 10 nationalities accounted for almost 70 per cent of all non-Irish nationals. 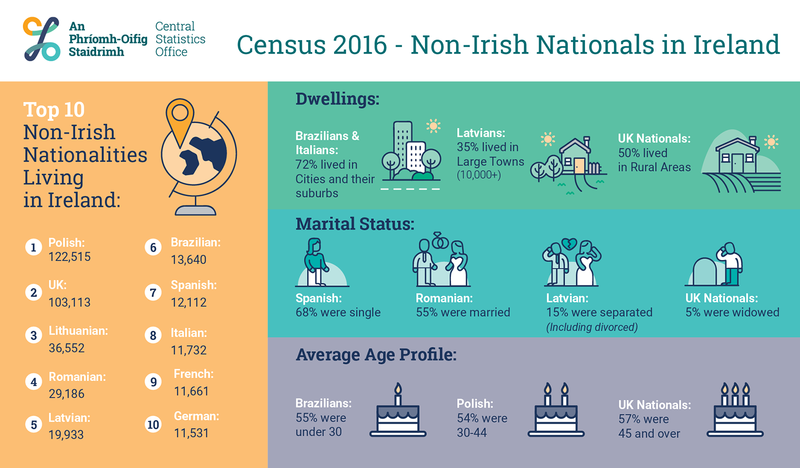 The Central Statistics Office (CSO) has released data from the 2016 Census that reveals the top 10 non-Irish nationalities living in Ireland. 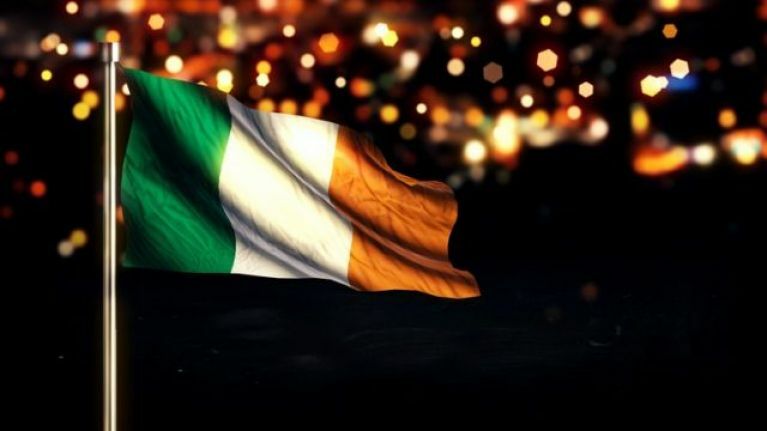 There were four new additions to the top 10 non-Irish nationalities list in 2016 from 2011, namely Brazilian, Spanish, Italian, and French nationals. While German nationals remained in the top 10 list, they dropped one position to tenth since 2011. Ireland's largest base of non-Irish residents is the Polish communities, with roughly 20,000 more Polish people living in Ireland than there are United Kingdom citizens. The drop off after those two nationalities is quite steep, with Lithuania coming in third. However, there are only 36,552 Lithuanians living in Ireland. Nine of the nationalities profiled had a higher labour force participation rate than the State population (61%). Only UK nationals living in Ireland had a lower labour force participation rate in both 2011 and 2016.